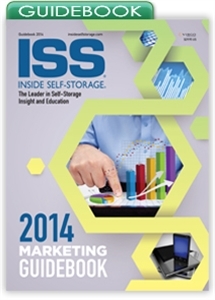 This Guidebook is designed to help self-storage operators determine marketing techniques for their facilities. It covers Web marketing, mobile marketing, social media, community marketing, print ads and more. Self-storage marketing techniques must evolve as customers find new ways to connect with and research facility operators. With greater customer emphasis on online and mobile platforms, owners and managers must now engage tenants and prospects through these new channels. Long-term business sustainability and success requires comprehensive and creative marketing campaigns encompassing traditional, online and grassroots strategies.